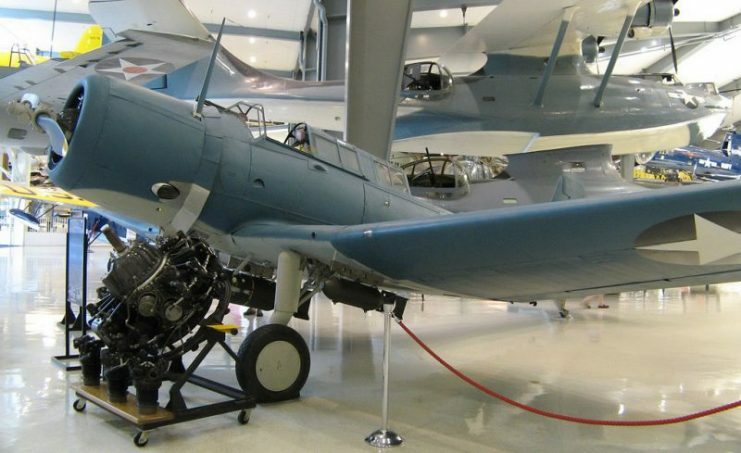 In the 1930s, military technology was on the rise, especially when it came to aircraft. Various companies were working together with governments in Germany, Great Britain, France, Italy, Japan, and the United States, in hopes of pursuing aeronautical solutions in a field not yet conquered by human ingenuity. Along with the development of airplanes, which first entered combat during WWI, came the development of gigantic ships capable of serving as airstrips for fleets of aircraft deployed across the oceans of the world. Of course, such cutting-edge weaponry was reserved only for the top ranking superpowers of the time. 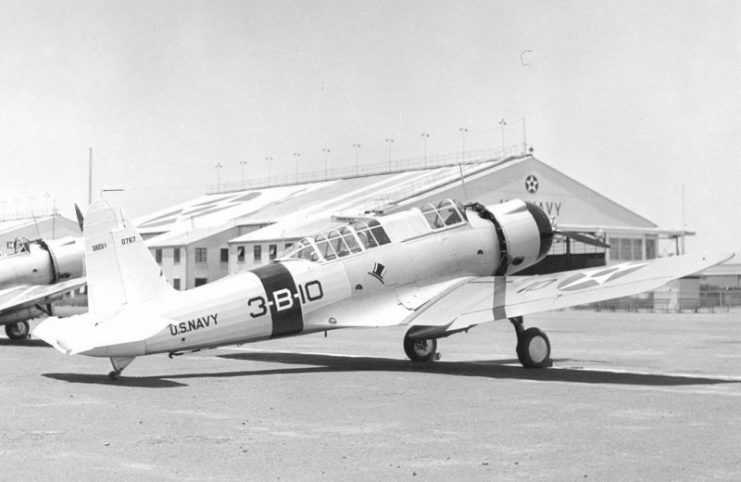 The Vought XSB3U-1 (BuNo 9834) at the NACA Langley Research Center, Virginia (USA), 1 December 1938. 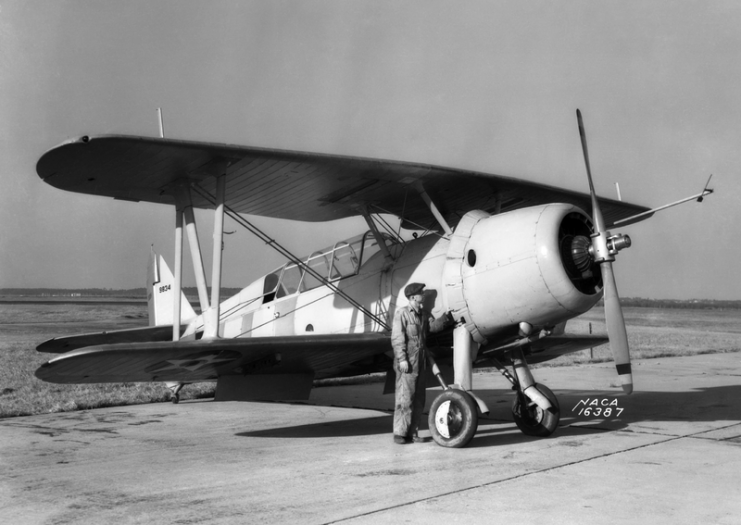 One plane was built, making its first flight in 1936. During the interwar period, the United States was pushing through the ranks, soon to become the most powerful naval force in the world. 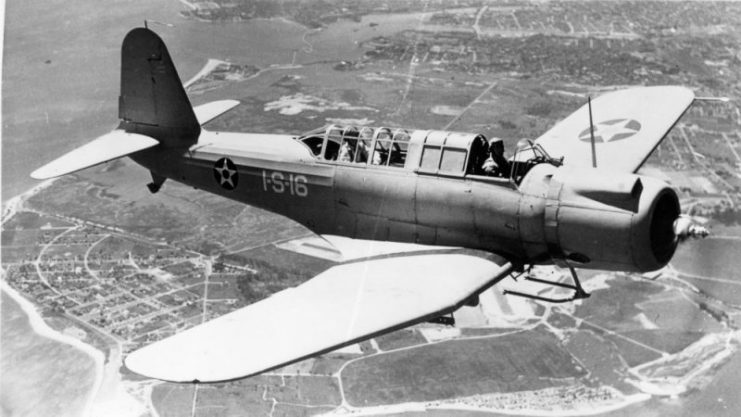 In order to enhance its fleet of carrier-based aircraft, the U.S. government issued an open call in 1934, requiring a new scout bomber for carrier operations. 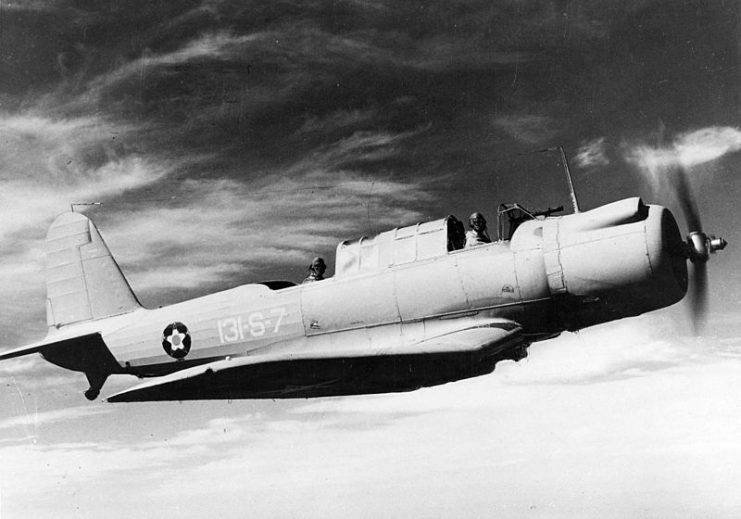 Vought came up with the design and in 1936, the first XSB2U-1 dive bomber was ready for operational use. 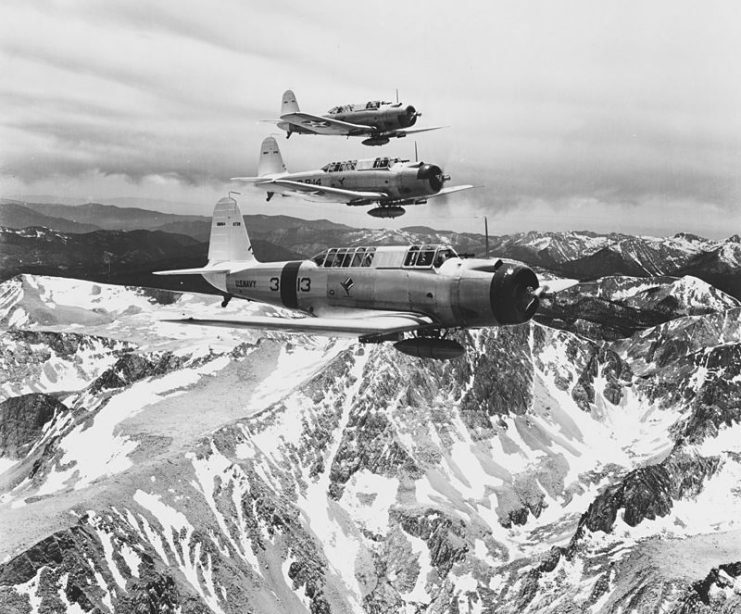 Three U.S. Navy Vought SB2U-1 Vindicator aircraft (BuNo 0739, 0740, 0741) of Bombing Squadron 3 (VB-3) “Tophatters” in flight over the Sierra Nevada range near Mount Whitney on 11 July 1938. 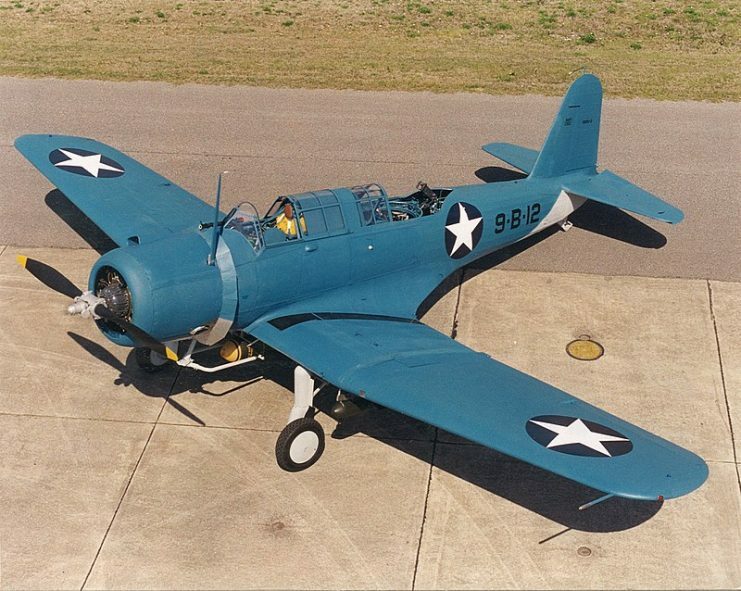 Nicknamed “The Vindicator,” this aircraft stood as the first line of defense during the early years of the Pacific campaign. 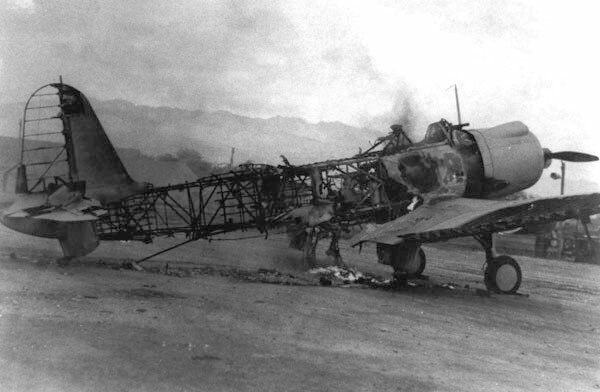 It served valiantly alongside the Douglas SBD Dauntless in attacking on the Japanese cruiser Mikuma during the 1942 Battle of Midway. The Vindicator carried a single pilot and a tail gunner, and its bomb bay was capable of taking a single 1,000 lb (450 kg) bomb. Additional bombs could be fitted under its wings, making the maximum bomb load around 1,500 lb (680 kg). Apart from serving as part of the U.S. Navy and Marine Corps, the Vindicator―or Chesapeake, as the British liked to call it―was also part of the arsenal of the Royal Navy as well as that of the French Navy. 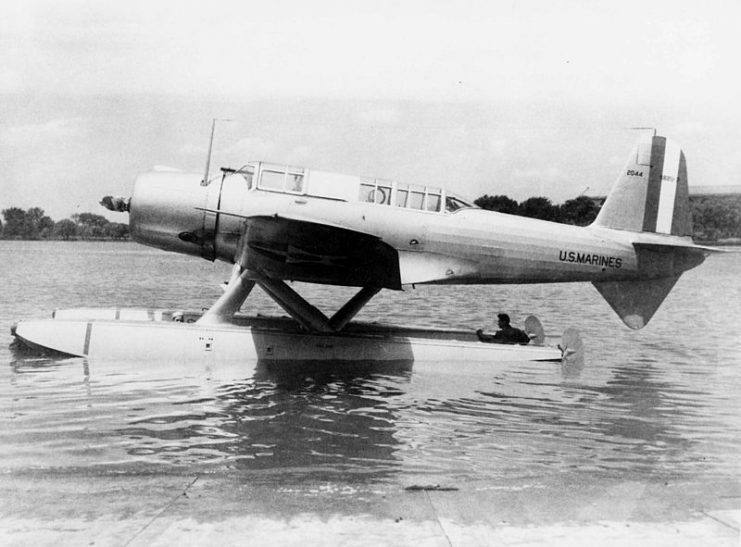 In 1939 a single Vought SB2U-1 Vindicator dive bomber (BuNo 2044) was converted as a floatplane and designated XSB2U-3. The French models, which were largely supplied with domestic-made equipment and instruments, had a role in providing air cover during the evacuation of Dunkirk. After the fall of France, however, all existing orders which were inbound were redirected to the British. 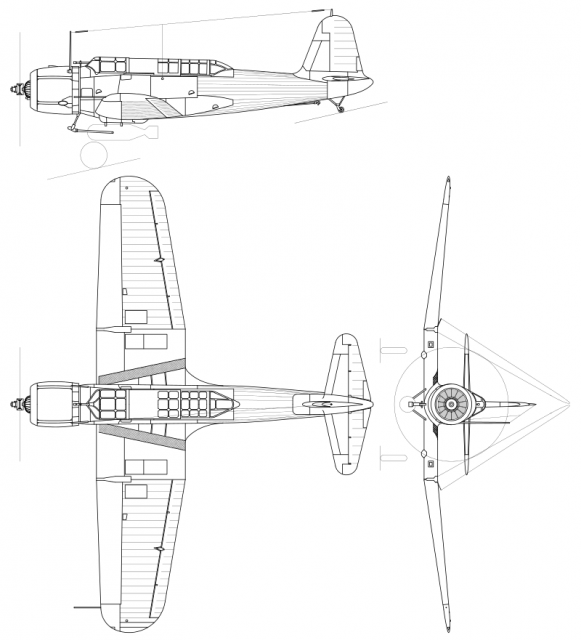 As aircraft technology evolved, the Vindicator soon became underpowered, despite many modifications made in hopes of keeping up with the emerging superior antiaircraft defenses and fighter airplanes on the Axis side. By 1942, it was all but retired, and used only for training duties. 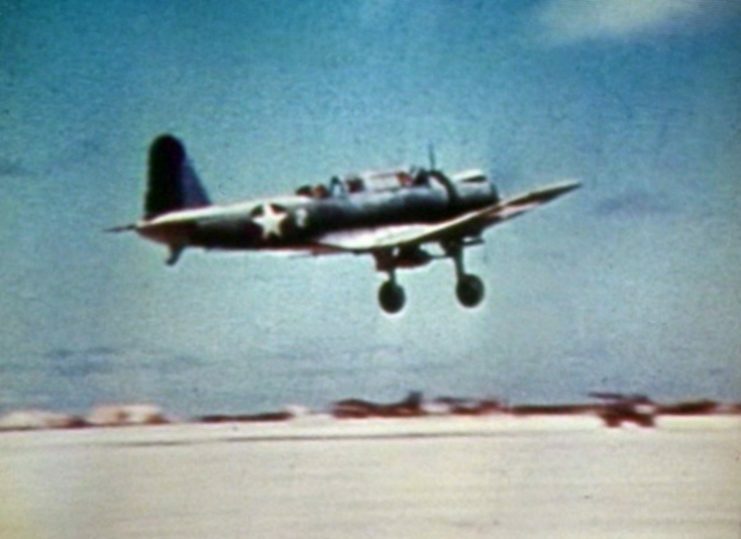 A U.S. Marine Corps Vought SB2U-3 Vindicator dive bomber of Marine scout bombing squadron VMSB-241 taking off from Eastern Island, Midway Atoll, during the Battle of Midway, 4-6 June 1942. 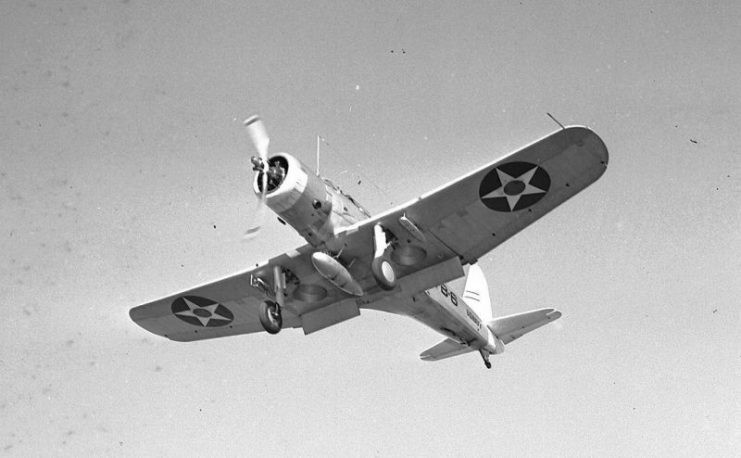 A U.S. Marine Corps Vought SB2U-3 Vindicator from Marine Scout Bombing Squadron VMSB-131 Diamondbacks in flight. 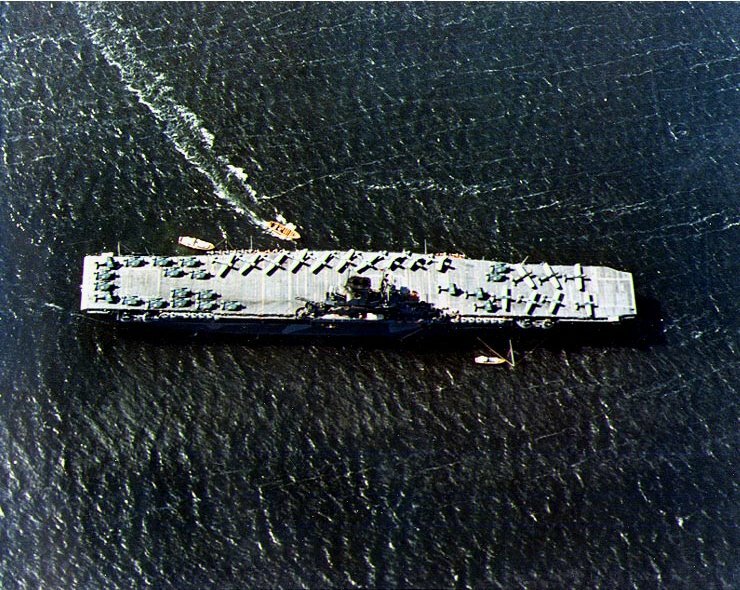 A U.S. Navy Vought SB2U Vindicator (42-S-17) of Scouting Squadron 42 (VS-42) returning to the aircraft carrier USS Ranger (CV-4) on 4 December 1941. 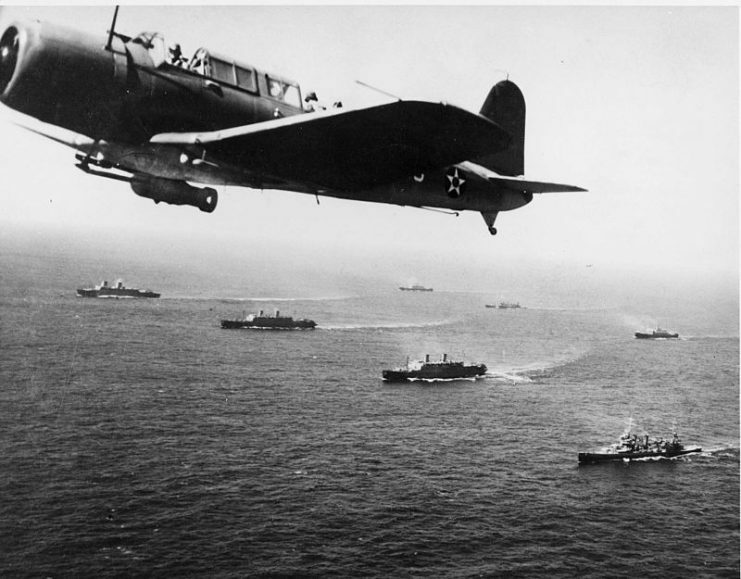 Ranger was escorting a convoy in the Atlantic. 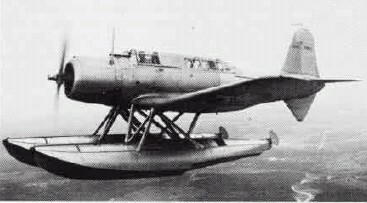 A Vought XSB2U-3 Vindicator experimental floatplane in flight, late 1930s. 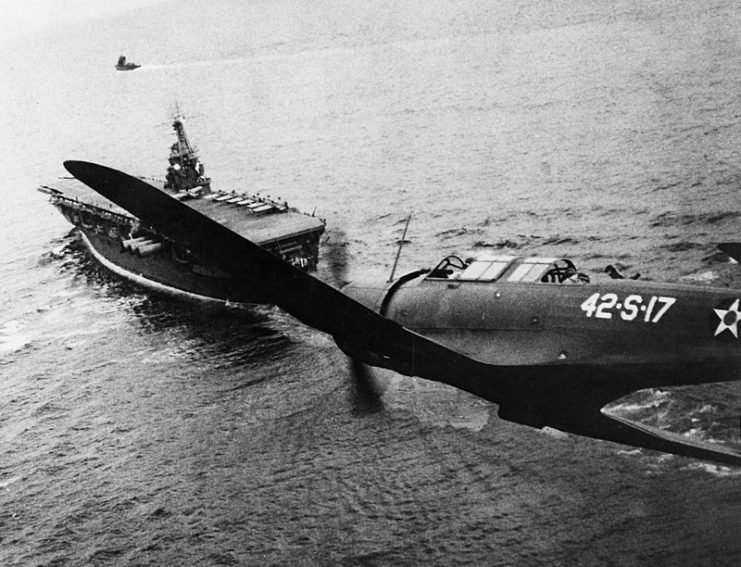 Convoy WS-12- A Vought SB2U Vindicator scout bomber from USS Ranger (CV-4) flies anti-submarine patrol over the convoy, while it was en route to Cape Town, South Africa, 27 November 1941. Oakland Airport 1939. 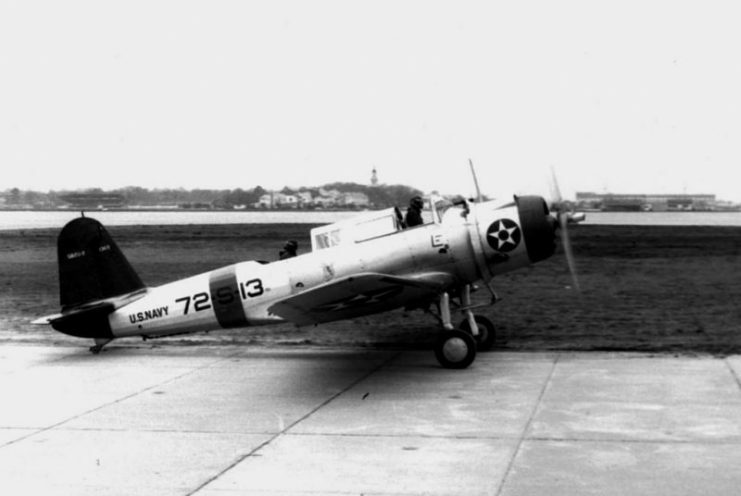 The pilot’s name on the plane is Aviation Cadet George H. Carter. 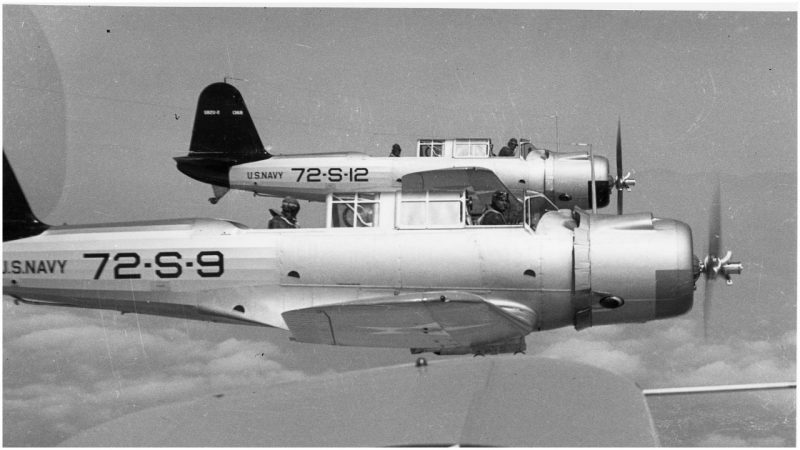 The normal complement of a Navy squadron in 1939 was 18 planes so this is a rare photo. 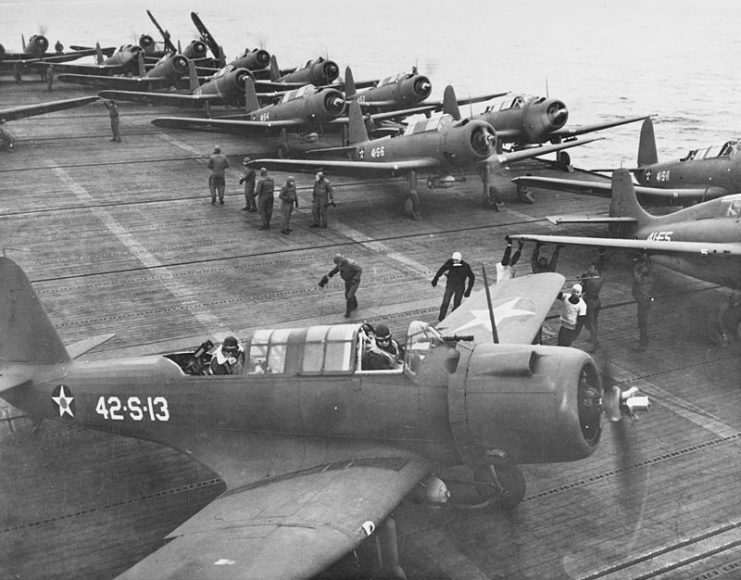 SB2U-3s on deck of Wasp in June 1942. The only known to exist Vought SB2U-2 Vindicator Bureau Number 1383 on display at the National Naval Aviation Museum. Recovered by A and T Recovery from Lake Michigan in 1990. 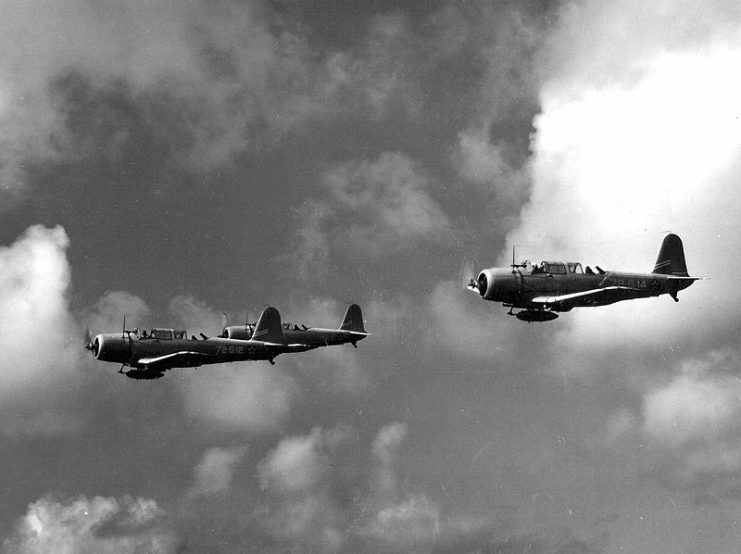 Three U.S. Navy Vought SB2U Vindicators from Scouting Squadron 72 (VS-72) from the USS Wasp (CV-7) in flight over water on 4 December 1941. 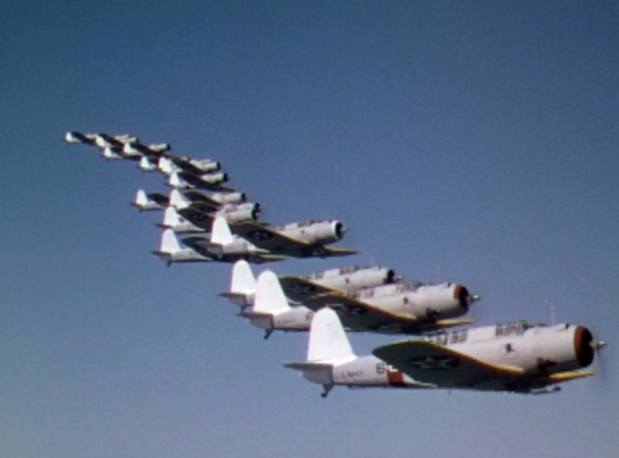 U.S. Navy Vought SB2U Vindicator dive bombers of Bombing Squadron VB-4 High Hatters in formation during the movie Dive Bomber (1941). 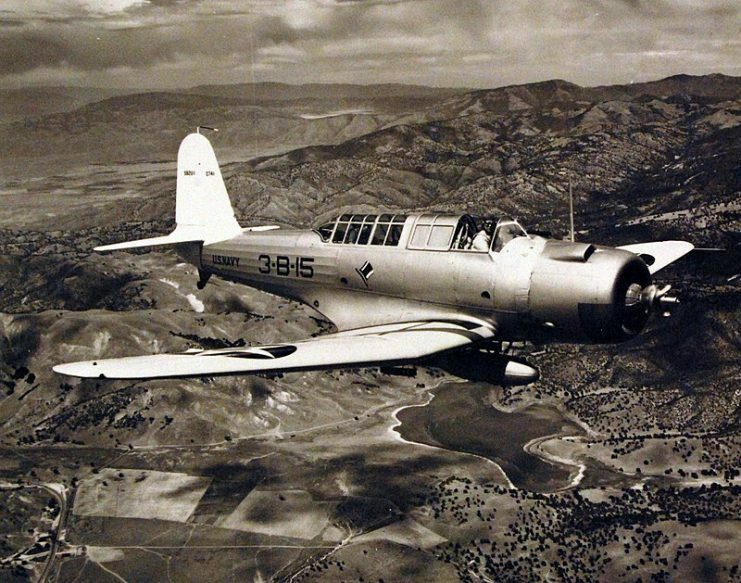 Vought-Sikorsky SB2U-1 “Vindicator” (Bu# 0741), Scouting Bombing Plane, over San Joaquin Valley, California, June 28, 1938. 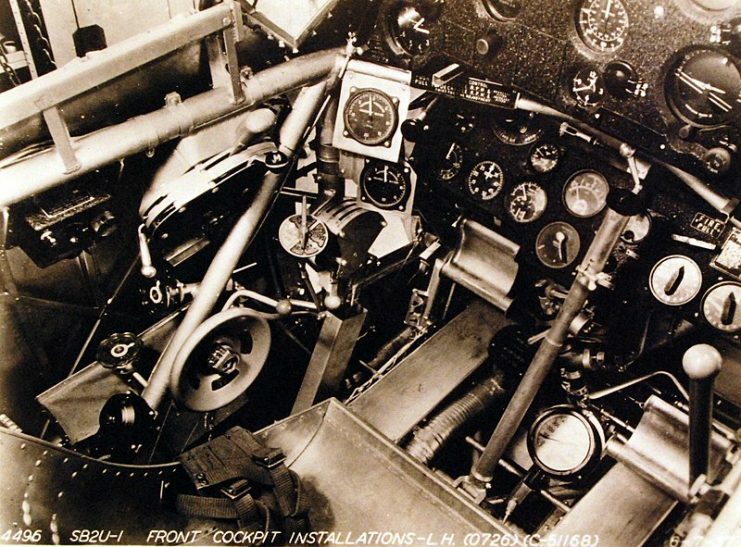 Vought-Sikorsky SB2U-1 “Vindicator”– front cockpit installations.